As a vegan, I am constantly researching ways to balance my diet in hopes of reaching optimal health. Finding proper sources of complete proteins, balanced minerals, and specific vitamins (like b12), has led me through an intense exploration of the nutritional, energetic, and overall health-based aspect of food. Along the way, I have found many things that do not work, but among my studies, I have stumbled across a handful of essential items. 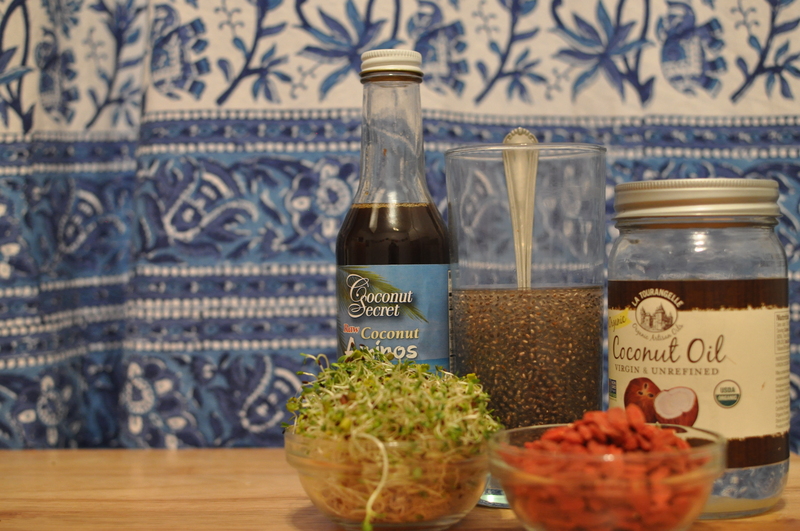 Coconut oil, coconut aminos, chia seed, goji berries, and sprouts. There is not a day that passes where my kitchen is not stocked with all five of these items. I find that my energy levels are extremely high, my body weight stabilizes with minimal exercise, and my appetite is always satisfied (without eating much). I swear by all of these foods and many scientists are starting to back me up. I have compiled a general summary of the various scientific explanations and present them below. I strongly suggest all people think about these amazing foods (whether vegan, vegetarian, or strictly carnivorous), as they have helped me immensely. And if nutrition isn’t you deal, these 5 ingredients will surely liven up your cooking skills, adding diversity to your culinary repertoire. It is a saturated fatty acid, which has garnered it an undeserved bad name. At the end of the 19th century, a campaign against saturated fatty acids lead people to believe that all saturated fat caused cholesterol. 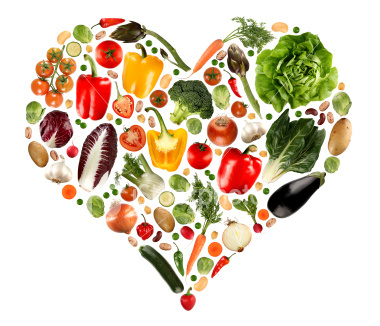 However, in more recent studies, it has been found across the board that unsaturated fatty acids like corn, soy, and nearly all commercially produced products are responsible for multiple health issues. In fact, America is known for its unsaturated fat diet, which has caused a plethora of cholesterol-based problems. In contrast, communities that have traditionally eaten diets high in coconut oil (like those in the Yucatan and Melanesia) are healthier, have less heart disease, cancer, and colon problems than unsaturated fat eaters. High in Lauric Acid, coconut oil is one of the world’s best antiseptics. A natural antimicrobial, lauric acid is found in breast milk protecting infants from viral, bacterial, and protozoal infections. Lauric acid can fight pathongenic microorganisms, which includes bacteria, yeast and fungi. Coconut oil stimulates the thyroid glandular system, which stimulates weight loss, anti-aging effects, and most importantly anti-cancerous benefits. A 50-year study conducted by Lim-Syliano found that thyroid active coconut oil eaters were at least likely to have colon cancer, with only 3% contracting it. This is compared to a 32% contraction rate of corn oil eaters. This was also tested in animals, which derived identical results. 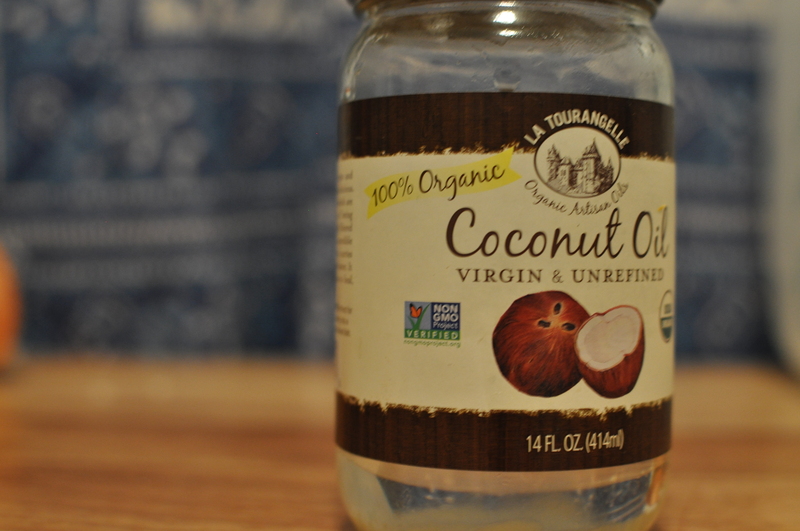 Also, coconut oil, unlike other unsaturated fats, does not go rancid. Providing 17 amino acids, coconut aminos are an essential for anyone practicing a meat-free diet. Made from raw coconut tree sap, this salty, rich soy sauce replacement is literally teaming with live enzymes reading to improve digestion and speed up metabolism. 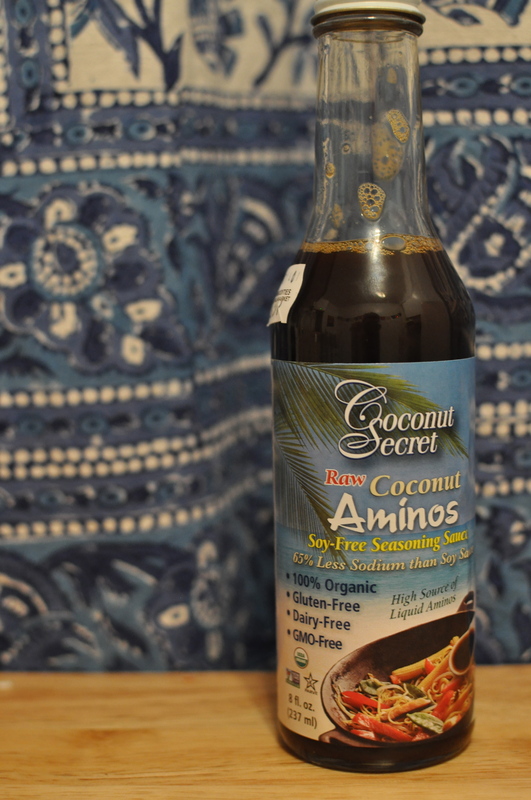 A naturally aged product, coconut aminos have a slight fermented odor, but carries a neutral pH. In comparison its alternatives, coconut aminos contain 2-14 times the amino acids. Coconut aminos are high in a broad-spectrum of vitamin B, including Inositol known for fighting depression and diabetes. Harvesting coconut aminos is a practice of sustainability. One tapped coconut tree will flow continuously for the next 20 years. In comparison to the harmful affects of cultivating soy, coconut sap production provides a much more sustainable future. In addition, coconut aminos are free from the negative affects associated with soy such as irregularly high estrogen levels that can disrupt natural hormonal patterns, increasingly widespread GMO soy production, and disruption of proper thyroid function. Originating out of the central valley of Mexico, chia was traditionally used by the Aztecs who recognized it as a superfood for its ability to translate into high amounts of energy when consumed. In fact, it was so coveted, that it was sometimes used as currency. Even the state of Chiapas, derived from Chiapan, translates loosely to “river where the chia sage grows. Chia contains more omega-3 fatty acids than any other plant food, including flax. The human body is unable to produce omega-3s, but they are essential to proper brain function, growth and normal development. They also lower the risk of heart disease, cancer, and arthritis. Chia is also a great source of protein. When soaked, the seeds form a thick gel that actually slows down the rate at which digestive enzymes turn carbs into sugar, thus making it especially beneficial for diabetics with high blood sugar. 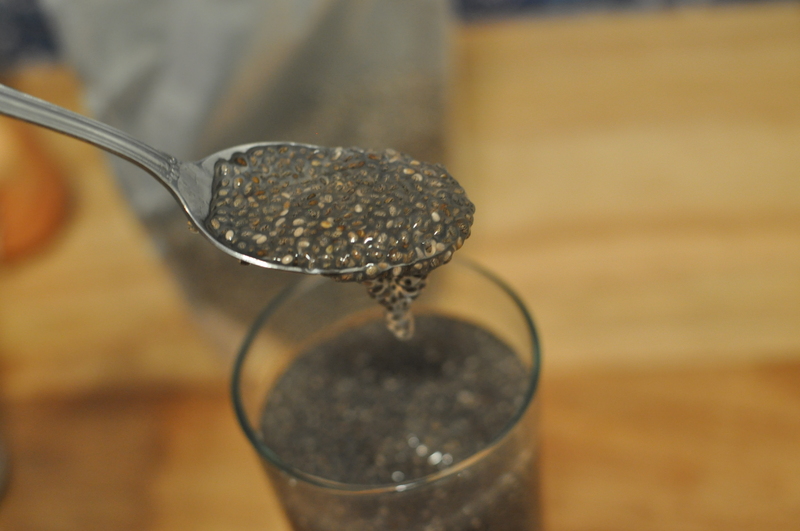 Chia also maintains high levels of water (up to 12 times it weight) helping with proper hydration. Lastly, chia is a powerful antioxidant, so much so that they can be stored for long periods of time without risk of spoiling. The Asian superfruit, also known as the wolfberry, comes in a bright red to orange color. It is most often found dried and carries a semi-sweet, tangy flavor. Best eaten raw, these berries offer a plethora of health benefits. 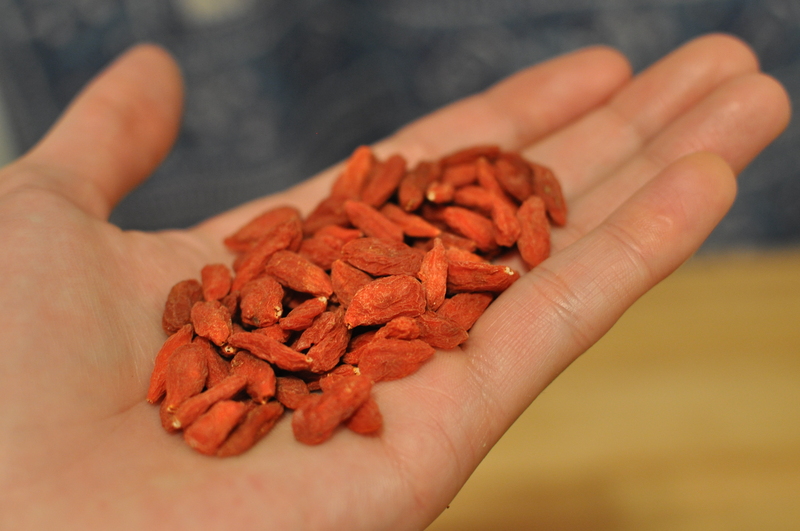 Associated with longevity, in Asia the goji berry was thought to increase the lifespan. Modernly, we have come to understand its use in treating diabetes, high blood pressure, fever, and age-related eye problems. High in antioxidants and other compounds, goji berries are thought to prevent cancer and heart disease, while boosting the immune system and lowering cholesterol. There has even been some research that shows goji berry extract is a powerful tool in boosting brain activity, protecting against age-related diseases like Alzheimer’s. Other claims have professed a general state of well-being, calmness, athletic performance, happiness, and improved quality of sleep. A study published in the Chinese Journal of Oncology in 1994 found that 79 people with cancer responded better to treatment when goji was added to their regimen. 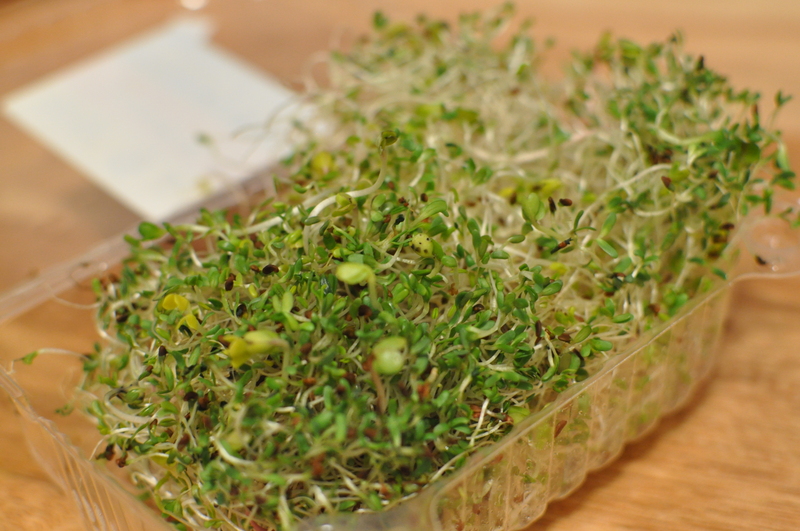 Considered a bio-genic food, sprouts are essentially baby plants. And much like any newborn, sprouts are filled with an exuberant amount of life. The energetic levels of a sprout are among the highest one can consume. This is observed in the sheer numbers represented in the young plant’s biochemistry: levels of vitamins B and C can grow up to 2000% in a matter of days. With all this growth, sprouts provide a tremendous living source of energy to the body. Beyond energetical terms, sprouts are important agents in supplying oxygen and maintaining healthy alkaline levels to the body. 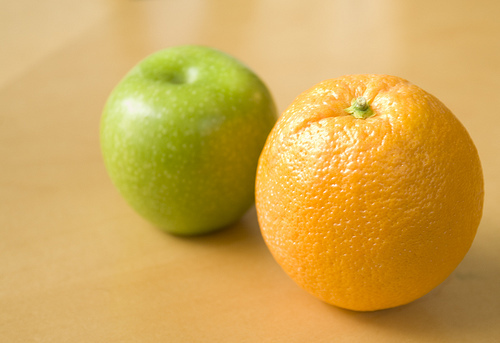 When a body is considered acidic (not alkaline), it serves as a Petri dish for all sorts of harmful bacteria and disease. Sprouts and other bio-genic foods are capable of realigning the body with its alkalinity. Sprouts also offset free radical damage. A free radical is an unstable oxygen molecule that is looking to steal an electron to stabilize their entropy (chaotic state). As one enters the body, it will take a healthy cell’s electron, leaving it in an unhealthy state. Antioxidants—which bio-genic foods are extremely high in—aid in this process, protecting against the damage of free radicals. Lastly, sprouts have shown that when they reach a certain stage in development, they are capable of overcoming protein-deficiency anemia. These five foods are simple foods. All of them are raw. They are easily obtainable in any health food store and can be effortlessly placed into one’s diet. The benefits of these foods are literally phenomenal and will almost automatically increase energy levels. If anyone is interested in recipes, contact me through wordpress and I will gladly pass them on.